The marketing campaigns on foods are effective in influencing people's behavior and the result is what many nutrition experts call a toxic environment one that dissuades people from making healthy food choices and encourages inactivity. • Tend to oversupply nutrients associated with chronic illness - due to saturated fat, cholesterol and sodium -- and undersupply nutrients that help protect against illness -- fiber, vitamins A, E, and C, calcium and potassium. 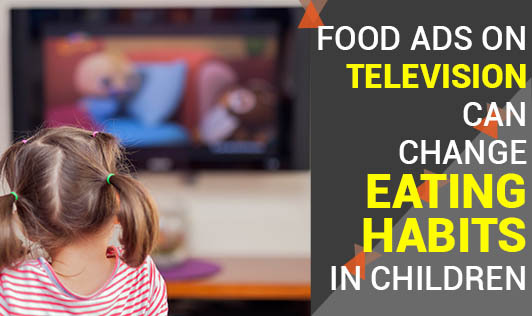 • Children usually end up eating twice the quantity of junk foods like chips and aerated beverages which provide only added calories and no vital nutrients like vitamins and minerals. Many of the foods advertised on television contain inadequate amounts of 12 essential nutrients such as calcium, potassium, fiber, vitamins D and E, and magnesium, and provide an abundance of saturated fat, cholesterol and sodium, which can lead to an increased risk of heart disease, diabetes, stroke and childhood obesity especially in those less than 5 years of age.